Jan 01, 2012 | abstract, architecture, buildings, curves, geometry, metal, reflections, shapes. 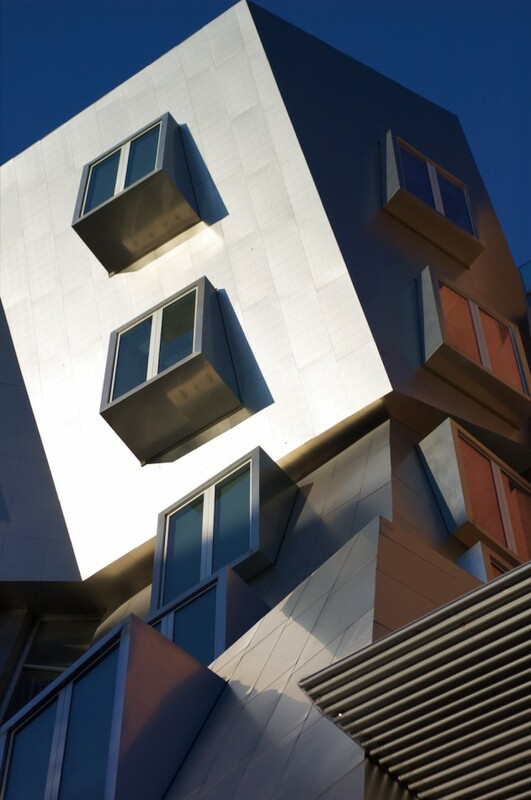 The jumbled upper levels of Frank Gehry’s Stata Centre. 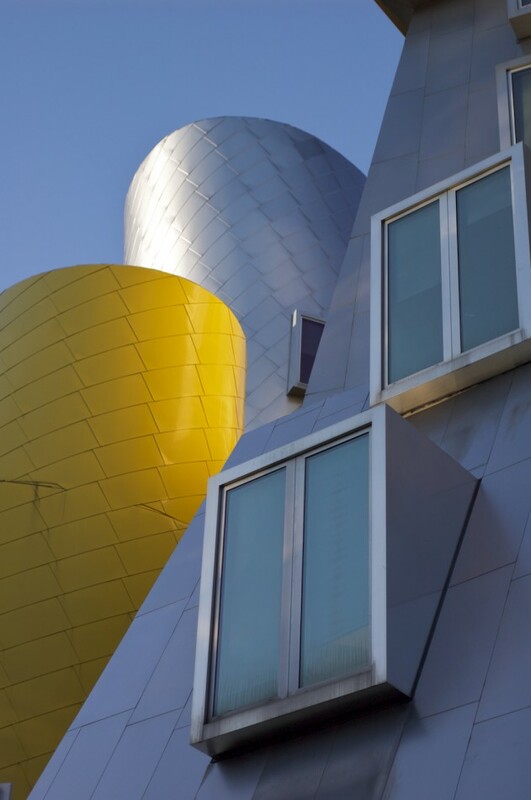 Gehry’s buildings are so unlike anything else. I have couple of pics of his Disney concert hall, check them out. Thanks John, I like your photos, especially the one of the concert hall foyer!